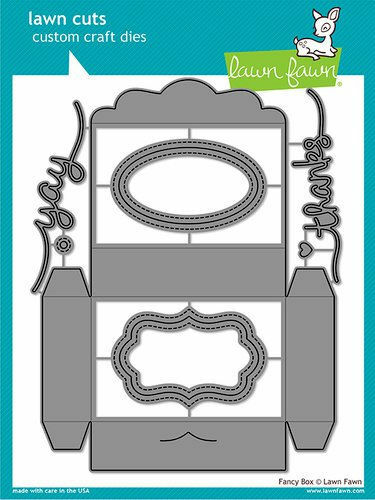 Create your own treat boxes for your next party or event with the Fancy Box Die Set from the Lawn Cuts Collection by Lawn Fawn. The set includes seven thin metal dies that are compatible with most die cutting machines (sold separately). The dies are made in the USA and measure from approximately .25" x .25" to 5.25" x 7".